I’m fifty-one. There, I said it. Quite honestly, I say it with pride… and honor. They do say that 50 is the new 30, and I tend to agree with that, having lived through my thirties already, I can attest that I feel, for the most part, like I did when I was in my thirties. I don’t think I feel like a fifty-year-old, whatever that is suppose to feel like. Although since I’m in my fifties now, and I do feel pretty darn good, I must say, fifty feels good. I think being an older mom (having my son when I was 38), staying active, and taking Caltrate Bone & Joint Health, keeps me feeling confident. 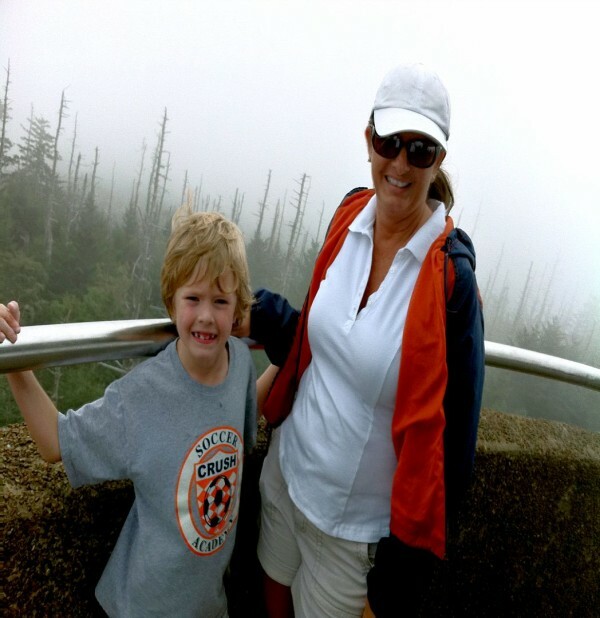 Something that my husband and I always have loved doing since we moved near the Great Smoky Mountains 19 years ago, is hiking. We love being outdoors in nature and finding new trails to hike. He’s one of the main reasons I want to stay active and have the bone and joint strength to do so. After we had our son, we now enjoy hiking as a family. I couldn’t imagine not being able to explore hiking trails because I lacked the bone and joint strength needed to do it. We try to push ourselves to do longer and/or more difficult hikes from time to time, too. Admittedly, my body is not the same as it was when I was thirty and I don’t want my bones and joints giving out on me… or getting rusty. 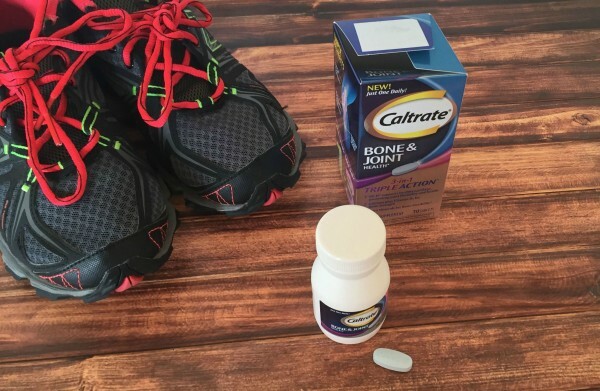 Caltrate Bone & Joint Health is a supplement that’s easy for me to incorporate into my daily routine and being a woman in menopause I know I need to think about my bone and joint health. It’s just one tablet a day that I take first thing in the mornings and Caltrate Bone & Joint Health has UC-II that supports healthy cartilage, promoting joint flexibility and health. I was taking 3 supplements before, so it’s nice to get everything I need in one easy tablet. Something I look for in a supplement is calcium and Vitamin D3 for bone strength, which Caltrate Bone & Joint Health has, plus extra minerals for bone flexibility. I’m living an active life with Caltrate Bone & Joint Health and I plan on being active, flexible, and confident for many years to come. 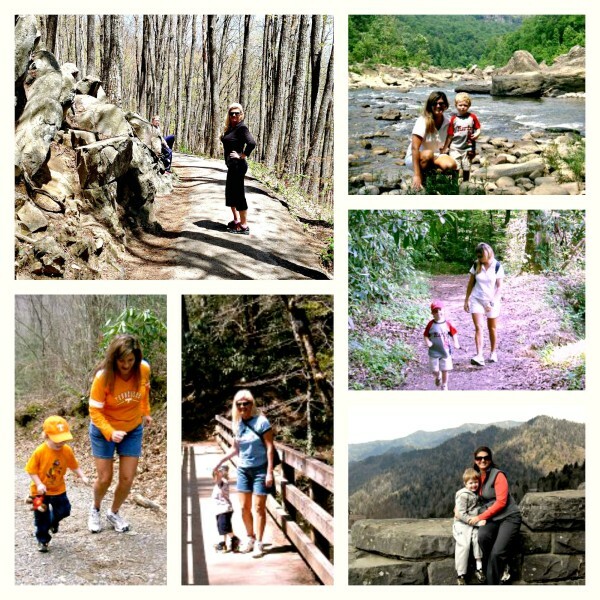 I’ve even started (trying) yoga… because I plan on hiking with my grandchildren one day. 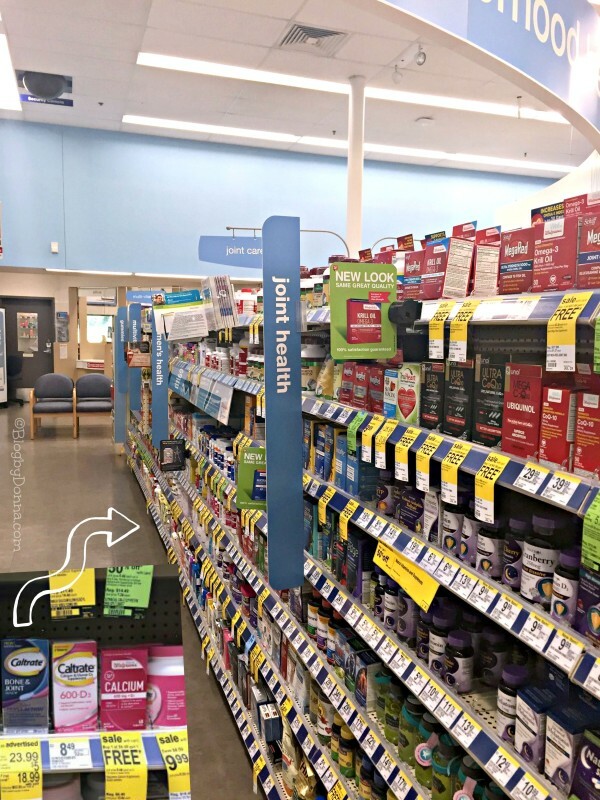 I buy Caltrate ® Bone & Joint Health at Walgreens and right now shoppers can save $5-off with the in-store instant value coupon book at Walgreens! How are you taking care of your bones and joints as you are getting older? I must say…after having written comments on your blogs several times…I would have never guessed that you were 51!!! Congratulations for looking and feeling so young!! I workout a lot and I workout hard, so my joints are always aching. I need to get some of this. Caltrate sounds great. Osteoporosis runs in our family, so I can use all the protection I can get. Osteoporosis is more common in women than men, so it makes sense for us to take a supplement that can help keep our bones healthy. I actually take Caltrate, and I love it. Sounds like a great supplement to use, especially for a healthy and active lifestyle! I’ll admit I’m terrible about taking supplements. This is a good reminder to be getting good nutrition along with exercise. 51 looks great on you, keep doing what you’re doing. I need to start taking some supplements to help protect my joints and bones. I definitely need to take this supplement. Bone and joint problems run in my family! First things first…you look AMAZING at 51! I can only hope I’m half as active as you are in my 50’s! There’s no way you are 51! You are gorgeous! Keep doing what you are doing!! You look absolutely amazing. I definitely take supplements! Definitely something I should look into. Don’t want to get old before my time that is for sure. You look amazing. Staying active is a huge part of feeling healthy. I need to start taking a bone supplement. I will have to pick up Caltrate ® Bone & Joint Health to give it a try. If that is what the 50’s looks like then I say ROCK ON! I take a pretty good multi-vitamin but I will definitely keep Caltrate 3in1 in mind! Thanks for sharing! 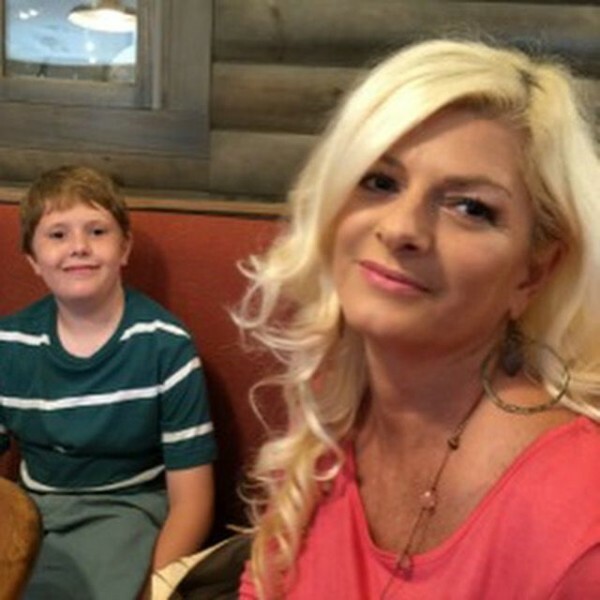 My parents use Caltrate too and they love how it helps. I love their chewable. I try doing cardio every week and at least 1 day a week of outdoor activity. I hope I could get into yoga soon. I should try and get some Caltrate Bone and Joint Health! I have a lot of joint issues, and this would probably do a lot of good for me! Wow! You are rocking 51! Amazing! I am going to be 40 tomorrow and I know I am not in good health. I have some bone issues that is causing me a lot of pain and weight gain because my movement is so limited. I am really fighting to change it and take charge of my health. Thank you for the inspiration! LIES! There is no way you are 51. Well, let me just say you look amazing. I hope I look at least half as good by the time I hit 50! I will for sure be trying this! My mom is recovering from knee surgery. I’m seeing all that’s in my future through her, and I know that Caltrate would help me stay active and strong. Caltrate sounds awesome! Glad you found something that helps you stay active and combats Osteoporosis. You look fabulous! So glad you found something to help you feel good and stay active! You look fantastic and should wear your age with pride! I need to look into this vitamin as I am menopausal and need to make sure I keep my bones strong and healthy! I love that you’re so active! I need to get more active. I’ll look into these. I have never been big on taking vitamins. I have always depended on western medicine to cure my aches and pains. However, I may start taking some bone and joint health supplements to ease my fibromyalgia! I never would’ve guessed you were 51! You look great! Being active and taking care of yourself sure paid off! I actually have it on my shopping list. I want to give it a try and see how it goes. This sounds like a great product. I bet my parents would be interested in something like this. Looks like a great product. My knees and ankles will likely thank me. Going to check it out! I have never thought of trying this although I do get pretty achy and sore. I will have to remember this and PS your hair is so pretty! Calcium intake is so important! This looks good for joint pains. I must buy them soon for my mom. Thanks so much. Nice post. It is important to stay fit and healthy.